MODERATOR: Good afternoon, everyone. Thank you for joining us for today's call. Our participants today are [Senior Administration Official One]. And also briefing today is [Senior Administration Official Two]. This is just a reminder, this call is on background, so please be sure to use the described attributions when referencing our briefers. With that, I'll turn it over to our Administration – senior Administration officials to make a few remarks and then we'll open it up for questions. SENIOR ADMINISTRATION OFFICIAL ONE: Good morning. We view today's designation of Boko Haram and Ansaru as Foreign Terrorist Organizations and Specially Designated Global Terrorists by the Secretary of State as part of our efforts to help Nigeria succeed in adopting a comprehensive approach to address its domestic terrorist threat. Nigeria's comprehensive approach must include enhancing security force professionalism, building confidence in the people of northern Nigeria, by meeting their legitimate economic needs, and ensuring adherence to the rule of law and accountability. All of our assistance to Nigeria stresses the importance of protecting civilians, adhering to the rule of law, and respecting human rights. So why have we taken this step? Nigeria is a strategic partner of the United States. It is Africa's most populous country, with about 170 million people. It provides over 4,880 soldiers and police for peacekeeping missions, and it is a global supplier of oil – crucial global supplier. We consistently engage with Nigerian leaders at all levels to advance our mutual interests. President Obama met with President Jonathan on the margins of this year's UN General Assembly. 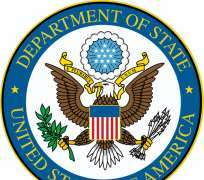 Under Secretary of State Wendy Sherman led a delegation to Abuja in mid-August of this year. And we also have regular senior interaction in Washington and in Nigeria with Nigerian officials, including federal, state, and local officials, as well as members of civil society. We want to see an even stronger Nigeria that fulfills its ambitions to be a regional and a global leader. To that end, Nigeria must strengthen its democratic institutions, advance economic reform, control corruption, professionalize its security forces, and effectively counter the threat of terrorism, while respecting the human rights of all its citizens. I'd like (inaudible). MODERATOR: Senior Administration Official Number Two will now make remarks. SENIOR ADMINISTRATION OFFICIAL TWO: The designation to Boko Haram and Ansaru are an important step in supporting the Government of Nigeria's efforts to counter violent extremism and address the security challenges in northern Nigeria. Boko Haram is a Nigeria-based violent extremist organization with links to al-Qaida in the Islamic Maghreb, or AQIM. It's responsible for thousands of deaths since its conception in 2009, including large-scale attacks against Muslim and Christian religious communities, and women and children. Since 2009, Boko Haram has been conducting an ongoing and brutal campaign against Nigerian military government and civilian targets. Within the last year, Boko Haram has been behind numerous attacks on Nigerian schools, and was also responsible for the August 2011 suicide bombing of the UN building in Abuja that killed 21 people and injured dozens more. Ansaru splintered from Boko Haram in January of 2012. Since its inception, Ansaru has committed multiple attacks of violence against civilians and Nigerian government officials and is responsible for the deaths of countless civilians and Nigerian security personnel. Ansaru also has links to AQIM. The consequences of these designations include an asset freeze against Boko Haram and Ansaru, and a prohibition against knowingly providing material support to either organization. In addition to denying both groups access to the U.S. financial system, these designations will assist law enforcement efforts to pursue these groups and investigate and prosecute individuals associated with Boko Haram and Ansaru's terror. These designations notify the world that the United States and Nigeria are jointly combatting the extremist violence of Boko Haram and Ansaru. MODERATOR: Okay. And with that we are ready to turn our call over and take your questions. OPERATOR: Thank you. And ladies and gentlemen, if you do wish to ask a question please press * and then 1 on your touchtone phone. You will hear a tone indicating that you've been placed in queue, and you may remove yourself from the queue at any time by pressing the # key. And if you are using a speaker phone, please pick up the handset before pressing the number. So again for your questions, please press * and then 1 at this time. And our first question will come from Karen DeYoung with The Washington Post. Please go ahead. QUESTION: Hi, thank you. Two things: I wonder if – excuse me – could you tell us what – I'm sorry – what the specific links are to AQIM that you're aware of. And also, do either of these groups pose a threat to the U.S. homeland or U.S. persons? Thank you. SENIOR ADMINISTRATION OFFICIAL TWO: Yes. So while we believe that Boko Haram remains primarily a Nigerian organization with its principle objectives in Nigeria, and that is true also of Ansaru, as I said in my opening remarks that it does – both these groups have links to AQIM. Our assessment is that AQIM has helped provide some training to the groups and has provided limited financing. SENIOR ADMINISTRATION OFFICIAL ONE: And as far as its – the relationship to Americans – to U.S. security, there is a very large American population in Nigeria, as you probably are aware, and a lot of U.S. investment – economic investment in Nigeria. So threats to Nigeria automatically impact U.S. economic and American citizen interests. QUESTION: Can I – if I could just follow-up, do you have any indication that there are specific threats against U.S. persons or U.S. economic interests in Nigeria? SENIOR ADMINISTRATION OFFICIAL ONE: We -- the United States recently designated at least one of Boko Haram's leaders on a – in a Rewards for Justice program, and there are three other members of Boko Haram that have been also designated. And they have made threats to Westerners in Nigeria and Westerners in the region. So we consider ourselves to be part of that target group, and they are a security threat to American citizens that are in and about Nigeria. SENIOR ADMINISTRATION OFFICIAL TWO: And of course, you're aware of the attack on the UN facility in 2011 that killed 21 people and injured scores, others. OPERATOR: Thank you. Our next question in queue will come from Deb Riechmann with the Associated Press. Please go ahead. QUESTION: Sorry, I can't pick up my handset, it seems to be broken. But I hope you can hear me. Can you hear me? SENIOR ADMINISTRATION OFFICIAL ONE: Yes. QUESTION: Okay. I have two questions. One: Why did it take so long to designate these two? They've been pretty brutal terrorist groups for quite a long time. And then I have another question. SENIOR ADMINISTRATION OFFICIAL TWO: Sure. Well, as was just stated – I'll just flag for you – that the State Department designated three of the organizations' leaders in – more than a year ago in June of 2012 – Abubakar Shekau, Khalid al-Barnawi, and Abubakur Kambar. And then following that, of course, we have conducted an extensive process of review and research to determine the effectiveness of designating the groups Boko Haram and Ansaru as Foreign Terrorist Organizations. This is a process that takes a long time, and only after that review and consultations with the Nigerian Government and other partners, we determined that designating these groups is both appropriate and effective in helping advance our larger strategy. QUESTION: Okay. And secondly, the Nigerian Government, I think so far, has taken a pretty heavy-handed kind of approach to these groups. It doesn't really seem to be working. Is there a more effective way that the U.S. sees that could be used to control the groups? SENIOR ADMINISTRATION OFFICIAL ONE: We have continued to talk to the Nigerian Government and urge the Nigerian Government to take a comprehensive approach to insecurity in northern Nigeria. And that approach, in our view, has to include addressing the region's legitimate political, economic, and social needs, as well as implementing a professional security response that respects human rights. We have repeatedly engaged senior Nigerian officials to offer our guidance to them on how best to fight Boko Haram through appropriate use of counterinsurgency doctrine. Our AFRICOM commander, General Rodriguez, and the Assistant Secretary of State for African Affairs Linda Thomas-Greenfield, plan to travel to Nigeria in – later on this year to discuss this and some other issues. And we've also had meetings between the Under Secretary of State Wendy Sherman, who led a delegation to Abuja for the U.S.-Nigeria Bi-National Commission working group on regional security, dealing with information leading to the – it was the security working group. The point being that in all of our discussions with Nigerian authorities, we have been stressing that you have to have a comprehensive approach, you have to address the way they're handling the security measures. SENIOR ADMINISTRATION OFFICIAL TWO: Thank you. OPERATOR: Thank you. Our next question in queue will come from the line of Jo Biddle with AFP. Please go ahead. QUESTION: Good morning. Thank you very much for doing the call. Can I just go back to the issue of why now? I mean, I believe one of the reasons given over the last past months for not designating Boko Haram as a FTO was because of fears of recruitment. Do you believe this is now not the case, that this designation will push more people to join Boko Haram's ranks? And also, in your conversations with the Nigerian Government, are they on board with this decision, or were they still a bit wary of it? Thank you. SENIOR ADMINISTRATION OFFICIAL TWO: So with respect to the recruitment question, I think that this designation sends an important signal to those who would be interested in – who are interested in becoming part of the organization or supporting the organization because it imposes a prohibition on knowingly providing material support to the organization. So in that respect, we think it is an important tool to add to our toolkit in countering violent extremism in northern Nigeria. SENIOR ADMINISTRATION OFFICIAL ONE: Oh. SENIOR ADMINISTRATION OFFICIAL TWO: -- we did have consultations with them in advance of the designation. SENIOR ADMINISTRATION OFFICIAL ONE: Yes, we have. We did have – and as you know, the – or you may know – the Nigerian Government itself declared Boko Haram a terrorist group earlier this year, I believe in the summer, probably around August. SENIOR ADMINISTRATION OFFICIAL TWO: Last year. SENIOR ADMINISTRATION OFFICIAL ONE: Let's see. It was the – anyway, so the short answer to that second question is yes, the Nigerian Government would be on board, is on board with this – with our designation. OPERATOR: Thank you. And we do have a follow-up from Karen DeYoung with The Washington Post. Please go ahead. QUESTION: Hi. Thank you. Do you know of any assets of either of these groups in this country that you are now freezing as a result of this designation? SENIOR ADMINISTRATION OFFICIAL TWO: I think you'd have to – I'd have to refer that question to the Treasury Department, but by and large we first have to have the FTO sanction in place before we can make that sort of determination. OPERATOR: Thank you. At this time, I'll turn the call back over to our hosts for any closing comments. MODERATOR: Oh, I think that – let's be sure that there are no more follow-up questions or any – that there are no more questions. And if there aren't, we can go ahead and wrap up the call. OPERATOR: Certainly. As a reminder, to queue up you may press * and then 1 at this time. Once again, *1 for any questions. And we have a follow-up from Jo Biddle. Please go ahead. QUESTION: Yes. Thank you very much. I just wanted to follow up a bit more on the notion that – of the links of AQIM. I wonder if one of the reasons why – despite the fact that this is a long process, one of the reasons why you're going ahead with the designation now is because of concerns that increasingly, they are developing links with AQIM. Would that be a fair assessment? SENIOR ADMINISTRATION OFFICIAL TWO: I think it would be fair to say that we conducted an extensive process of review to determine the effectiveness of the designation, and it was only after that process was completed that we went forward with the – that we've gone forward with the designation now. And as I mentioned earlier, we do know about the – we do assess the assistance to AQIM – we do assess AQIM as provided assistance in the form of training and some limited financing. QUESTION: But is that increasing, or is it something that's at a stable kind of level, the amount of assistance that comes from AQIM? SENIOR ADMINISTRATION OFFICIAL TWO: Yeah, I don't have anything more for you on levels on that. OPERATOR: Thank you. Our next question in queue will come from Margaret Brennan with CBS News. Please go ahead. QUESTION: Hi. Thanks for doing this. When we hear a lot about U.S. officials and their views on Africa right now, they often point to a – somewhat of a blind spot for the U.S. in terms of military assets, in terms of U.S. presence on a security basis. So what kind of training – can you go into more specifics about what the U.S. is actually trying to do now to counter the threat, beyond this designation? I mean, is there more government-to-government coordination, more military-to-military coordination, multinational efforts? Can you give us a bit more? SENIOR ADMINISTRATION OFFICIAL ONE: Thank you for that question. We are really working very closely with the Nigerian Government and with the – and its neighbors in the region to address the threat specifically of Boko Haram and Ansaru, but we're doing it – and we're doing it in a comprehensive manner. In the – with Nigeria, we're working to enhance security force professionalism, as I mentioned before; also to improve Nigeria's forensics and investigative capacity, and to strengthen their criminal justice system. Our assistance also stresses the importance of protecting civilians in a manner that ensures that human rights are protected and respected. In the region also we have the Trans-Saharan Counterterrorism program, which deals also – we're working with civil society as well as military and police or national security forces in the countries in the region, particularly in Niger and in Chad, to develop their professionalism, to work on civilian military communication, and also to strengthen cross-border collaboration, Chadian, Nigerien, and Nigerian cooperation. So, we – this is one of the tools in our – designation is one of the tools in our tool chest, but it does not exempt or any way – in any way – it complements the other kinds of active activities – other kinds of projects that we have going on in the region that deal with countering terrorism, countering violent extremism, and empowering civil society and governments to work together in order to counter the threat of terrorism. QUESTION: When you mentioned cross-border collaboration there, I mean, where do you find these groups sort of taking haven? Is this really a cross-border issue, or are you just talking about the response being not just for the Nigerians to respond but other governments? SENIOR ADMINISTRATION OFFICIAL ONE: As I think my colleague said a couple minutes ago, Boko Haram we assess to be primarily a Nigeria-focused terrorist group. When we say that there are links, however, obviously to AQIM, there's got to be communication some way. So the entire region looks at – the entire region, particularly the border states to Nigeria -look at Boko Haram as a potential threat. And there have been instances, of course, of them perhaps transiting the Nigerian border to get to Mali or transiting – going into Chad. We know that Boko Haram or elements that then befriended Boko Haram were involved with the kidnapping of that French family in Cameroon, for example. So the governments in the – of the region, the border states – let's narrow it to the border states to Nigeria – have been in discussions and are in discussions with each other as to how to strengthen their own border security and what to do about – should there be arrests on one side or the other of the border, what to do about transferring or discussion of who these people are and finding out more about who these are. And we consider that collaboration to be positive, the information sharing among – in that region, because they need better collaboration in general. OPERATOR: Thank you. And at this time, I'll turn the call back over to [Moderator] for any closing comments. MODERATOR: All right. Thank you, everyone, for joining us today. I certainly hope that this is very helpful to you. And with that, have a great afternoon.